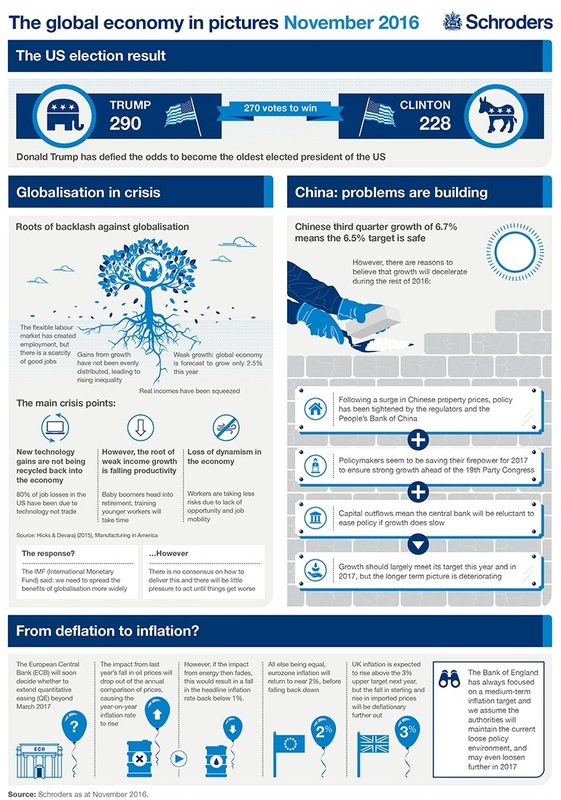 In their November infographic Schroders’ economists investigate globalisation and ask is it in crisis? They look at whether China’s problems are building and if deflation or inflation should be of greater concern to investors. The above Infographic was first published by Schroders on 17th November 2016. Next Next post: Volatile bonds: What is happening to interest rates?